Safelincs value every comment made by our customers and actively seek their views through the questionnaire that is sent out after each purchase. The results of the questionnaires are reviewed on a daily basis by one of our customer care team. They contact the customer and update them of any action that may be taken as a result of their comments. Improvement suggestions are then discussed at a weekly customer care meeting. A suggestion made by a customer led our warehouse to look into the packing method of one particular type of smoke alarm. These smoke alarms had so far been protected in transit with padded envelopes. We decided that to avoid the outer packaging of the smoke alarm potentially arriving a little crumpled, the best way was to invest in bespoke secondary boxes to transport these smoke detectors safely to our customers. The result has been very encouraging. No further comments have been received since the introduction of this measure.The new packaging can also be fully recycled. Please let us have any comments you might have about the shopping process, our fire safety products and our delivery so that we can improve our service to you. Now that the nights are drawing in and the temperatures are dropping we are all starting to light our fires. Those with pets will not need to look far to know where their cats and dogs are, if the fire is on they are probably sat directly in front of it. A study has shown that pet owners are more at risk from Carbon Monoxide (CO) poisoning than those without. As their cats and dogs snuggle up on the hearth, their hairs can block or restrict air vents intended to ensure adequate ventilation. Partially restricted or blocked flues and vents can lead to incomplete combustion of the gas and the creation of Carbon Monoxide. To ensure that you are not at risk of Carbon Monoxide poisoning ensure that you clean and hoover vents on a regular basis to prevent the pet hairs clogging them. You should also ensure that gas appliances are serviced on a regular basis. Should you suffer from headaches, feel drowsy or generally unwell when sat in front of the fire, turn the fire off, ventilate the room and contact your gas supplier to check for CO. You can also protect yourself and your pets by purchasing a carbon monoxide alarm. This alarm will alert you should the CO content in room reach dangerous levels. Many people find choosing the correct extinguisher for their application difficult and confusing. 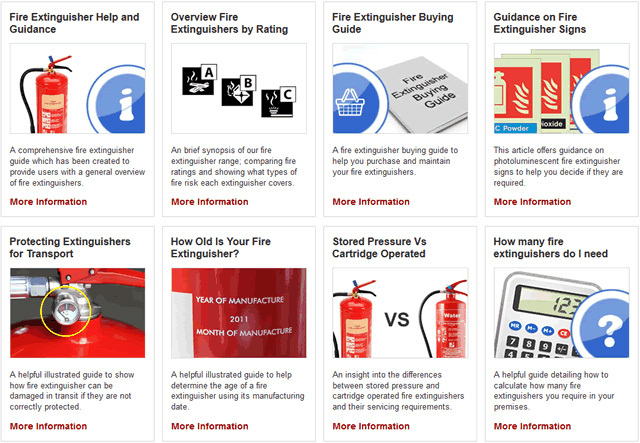 We have developed a new guide to help our customers choose the correct extinguishers. The guide gives you an overview of fire classes, provides a basic understanding of the different extinguisher types and how to use a fire extinguisher in an emergency. We are always striving to improve our service, our products and our organisation. With this in mind Safelincs have been streamlining the processes in the warehouse and were assessed yesterday by the United Kingdom Warehousing Association (UKWA). A Manchester hotel, Hallmark Manchester, part of the Hallmark Hotels Group, was found to have no automatic smoke detectors or manual call points on the third floor of the hotel as well as having defective smoke detection units on other floors and fire escapes that were not to standard. It was also evident that staff had not received adequate training in fire safety. Three breaches of the Regulatory Reform (Fire Safety) Order 2005 were brought against the hotel, to which Hallmark Hotels pleaded guilty. Hallmark Hotels were given a fine of £25,000 for each offence and £52,000 costs, in total a fine of £127,000. Anne Whitehead, health and safety officer at Hallmark Hotels commented that there were some frustrations over the conviction and fine as the company had inherited a list of issues after acquiring the hotel, formerly The Belfry House Hotel. She also stated that Hallmark Hotels were addressing these issues through a £5m refurbishment initiative. Hallmark Hotels gave reassurance that the safety and comfort of their guests was of paramount importance to the company and had always kept a clear record for their fire and safety. Over the past few months Safelincs has been working with Glasgow University to create a helpful fire extinguisher guide. The guide is being used on the Glasgow University website and will be available to download by staff, students and even members of the general public should they wish. The guide covers a variety of subjects including, current and previous fire extinguisher colour codes (BS EN 3 extinguishers), fire classes and how to use each type of fire extinguisher. October 4 to October 8 2010 is National Schools Fire Safety Week. This campaign is aimed at raising fire safety awareness and to help educate children on fire safety issues. The annual event is organised by The Fire Fighters Charity and Fire Kills campaign. This year’s topic is called Matches and Lighters – Tools Not Toys. The brigades of North Lincolnshire will be visiting schools to deliver talks on fire safety awareness and the dangers of using matches and lighters. The campaign is also aimed at providing useful tips for parents. The campaign has a website that can be accessed where children can play interactive games and adults can gain tips and learn activities that can help to educate their children to be safe around matches and lighters.